My sons and daughters say yes sir and no sir. Not because it comes naturally to them, but because we’ve raised them to do so. Some folks give me dirty looks, or think I’m propping myself up, trying to instill some level of fear of adults in them. “We don’t make our kids say yes ma’am or yes sir. Not all adults deserve that level of respect.” Awesome. You do you. I personally think all PEOPLE deserve that level of respect until proven otherwise. Why do I insist on them saying sir/ma’am? Well for one, it just a means to acknowledge they HEARD me. If I say, “buddy, take out the trash”, a “Yes sir!” means he listened to what I said, and should follow through. If he doesn’t take out the trash, I know he was either disobeying me, or it flew out of his mind with any number of things that take up space in a young boy’s brain. I know he heard me, so that narrows down the following correction, and gives us a starting point. I also believe in respect for one’s elders. To say I’m disgusted with the way some children speak to adults is an understatement, but that comes a far second to the disgust I feel when some adults speak to their kids. I’ve earned a little bit of auto-respect with my children. I house them, clothe them, feed, and feed, and feed them. I try to reward good behavior and shower them with praise when they succeed, and love no matter what. I don’t leave for the hard parts. I stick in there and ride it out. I’m not asking for a trophy, but a “sir” is a small token of appreciation. I also believe THEY deserve some respect. I don’t call them ugly names, swing switches for the sake of it, berate them on a daily basis. Heck, when my kids ask me a question, I’m just as likely to say “yes sir” to them, as they are to me. It’s a give and take, but I always remain the parent. Not the friend. Sure, I love to pal around with my kids. I want to go to movies, run around the park, crack jokes that may be right on the line of inappropriate, but at the end of the day. Me: Dad. You: Kid. “NOOOO!” I’d shout. “I want you to yell at me. I want you to jump in and call me a fool!” But he couldn’t do it. We’d raised nice decent kids that didn’t want to buck authority. On the one hand, I’m very proud of this. I think common courtesy is quickly becoming a distant memory, especially in online forums such as this. The other day I dropped my bags (ok, boxes) in the Costco parking lot, as I went over to confront a guy who almost hit an old lady while zooming around the parking lot at 60MPH. “I didn’t see her……” he mumbled. OBVIOUSLY YOU MANIAC! !, NOW GO APOLOGIZE TO HER!! To his credit, he did. Being courteous and respectful to your elders is a fine quality indeed. However, I don’t want my sons and daughters to not stand up when right is right, no matter who is in the wrong. I want them to learn to debate and argue in a way that’s productive and helpful. On the podcast, or our new LIVE series, the ‘After School Show’, I want him to fight even if I’m right. It’s a show. It’s entertainment. We recently wrapped up a show and I asked, “why didn”t you stop me? I was saying something ridiculous just to get your goat.” He sheepishly said, “I didn’t want to interrupt you. I didn’t want to be rude.” I was 50% proud, and 50% disappointed. OK… 51/49. This wasn’t going to work. I needed a PARTNER, not a son. It seems to be working so far. He’s nowhere near 100% there. He has to fight his nature, and the last six years of instruction by yours truly. I have noticed a difference though. If he starts to say something sassy ‘in real life’, I just look at him and note, “save it for the show.” He’ll nod and drop back into son-mode. I look forward to our 15 minute window each day, when I have a buddy with me. I get to experience that pal relationship that TV parents have with their kids, without the crazy, spinning out of control, ‘very special episode’ where it inevitably goes wrong ——>I’m looking at you Rory Gilmore. Hopefully we can create some entertaining shows for you, our viewers, and in doing so, get to know each other a little better each day. Christian has had many roles in life. He’s been a minister’s son, a poor student, a computer geek, a bible college dropout, a corporate suit, a traveling comedian, and a failure at much he’s tried. But he counts 2 huge successes in his life. He is husband to a wonderful wife, and father of two exceptional kids he wanted, a third ‘surprise baby’, and a In 2015, they met yet another surprise, as their fourth (and prayerfully last) child defeated birth control with her sheer will to exist. Having just missed Aaron in college by a few years, they connected online, finding they had a similar sense of humor [read: DARK] and decided to launch PlaidDadBlog. 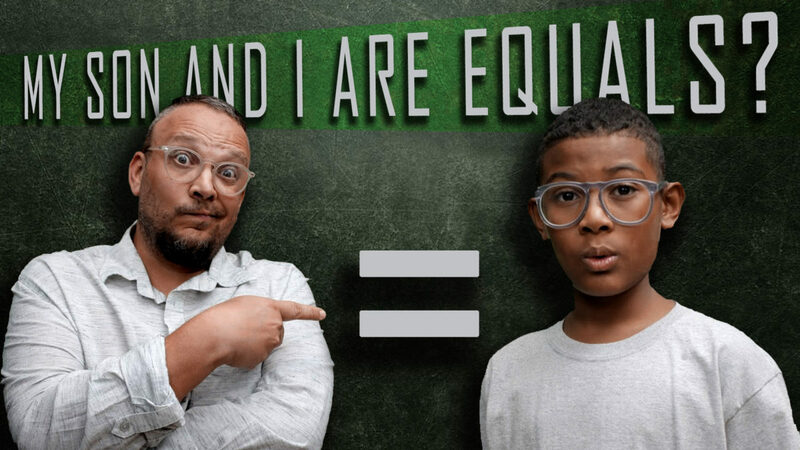 Christian hosts the ‘What Are We Watching?‘ podcast with his son Carlin, and just launched a new web series, DadSews, where he learns (an fails) to sew LIVE on camera. 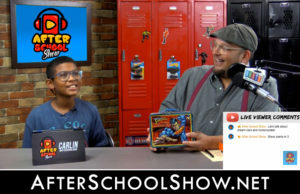 Check out the new After School Show, Mon-Thurs 6:30p EST.